June 12, 2017 – (Dallas, TX/Newcastle upon Tyne, UK) – This week, the UK-based Frank Recruitment Group opened two new global-focused offices in Dallas, Texas and Newcastle upon Tyne, UK in an expansion that highlights the company’s 10 year success, and rapid growth over the past two years. The niche technology recruitment specialists plan on hiring over 500 professionals between the two offices: 400 in the Newcastle upon Tyne office by August 2017, and 150 in the Dallas office by the end of 2018. The new Dallas office, housed in the recently refurbished Ross Tower downtown, will primarily focus on Frank Recruitment Group’s signature brand, Nigel Frank International, a recognized global leader in Microsoft technology recruitment. Dallas has garnered media attention in recent years and is widely regarded as one of the best tech cities in which to work in the United States, with a low median real estate purchase price and one of the United States highest job growth rates at (4.1%), according to Forbes. Frank Recruitment Group was founded in 2006 in Newcastle upon Tyne. The new state of the art office, which opened this week, sits opposite the historic Newcastle Castle and is a short walk away from Central Station. 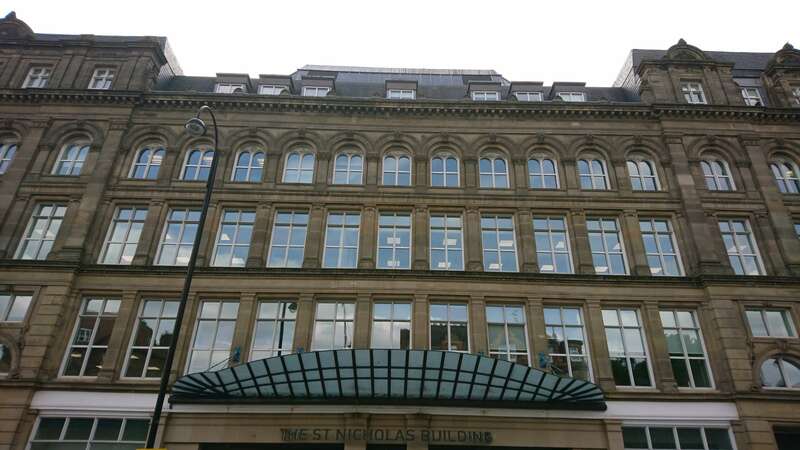 The St. Nicholas office is the new home to our growing sales teams, while the widely recognizable office on the front of popular Collingwood Street will remain the home to our support teams.